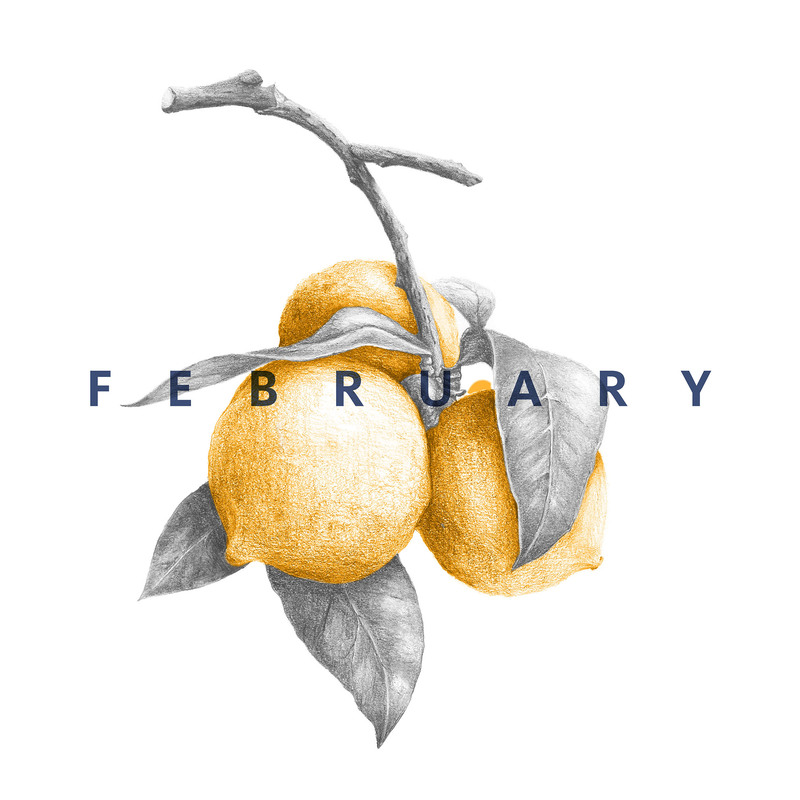 I love the process of creativity in the kitchen. A few months ago a friend hands me a variety of radish seeds that were said to produce pink, purple, and red radishes of different sizes in just 25 days. I planted the seeds, waited about a month, meanwhile I planned out what I would do with the little beauties once they popped up. Around the same time Josh and I got hooked on this certain taco cart in town that had pickled radishes to garnish your street tacos. 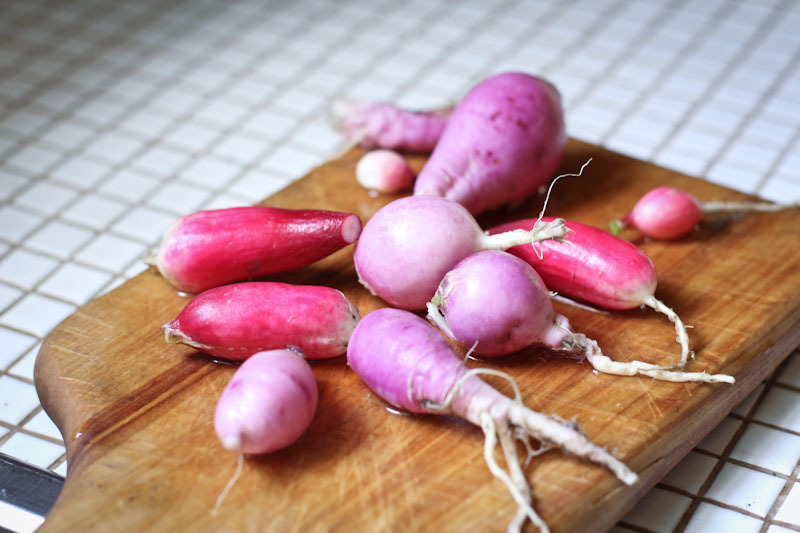 I also couldn’t get an hors d’oeuvres out of my mind that we had enjoyed in France that featured farm fresh radishes with butter and dressed radish leaves. So, an experience at a taco cart and a memory of our travels inspired the fate of my radishes! For the French-styles radishes it was easy. Serve them up fresh with a little smear of butter on each radish, sprinkled with sea salt, and the radish leaves still attaches brushed with your favorite salad dressing. This is a fun appetizer to share with friends and super easy to make, so easy that we’ve been making it all summer long! As for the taco-cart pickled radishes, I looked online for inspiration and found a few recipes that I combined to create this sweet and salty pickled radish, perfect for salads, sandwiches, a snack, or tacos. 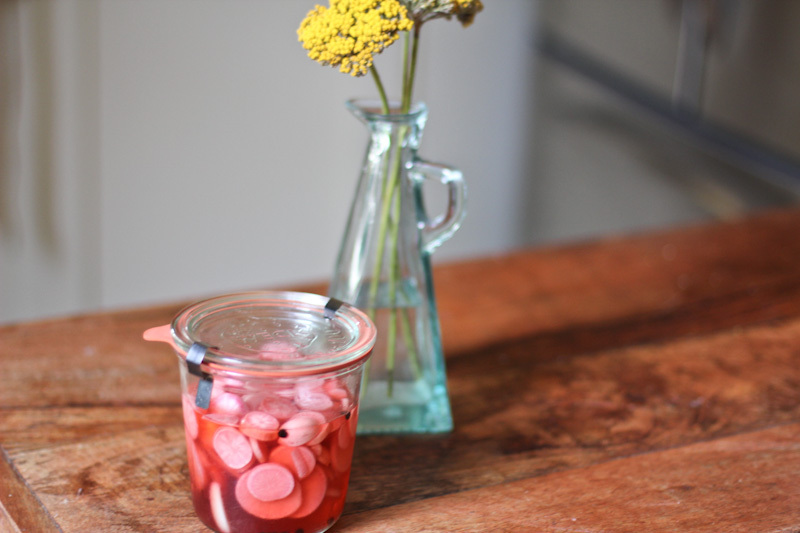 The strawberry syrup adds a sweet twist to the average pickled radish, also giving it a brighter tint of pink. Slices Strawberries, then heat strawberries and sugar over medium heat until a thick syrup forms. Set aside to cool. 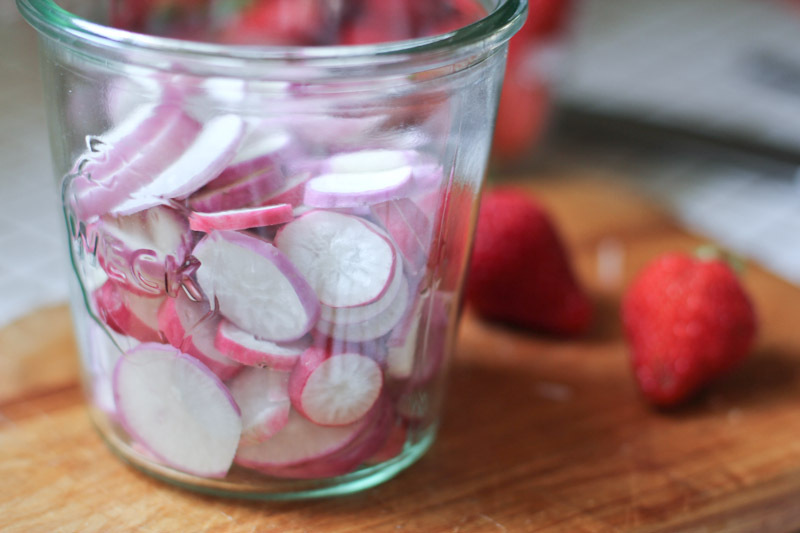 In a jar, combine radishes, vinegar, peppercorns, garlic, and strawberry syrup. Add more strawberry syrup if you want the radishes to be more on the sweet side. Let sit for a couple of hours then enjoy. The radishes will last in the refrigerator for about 2 weeks. 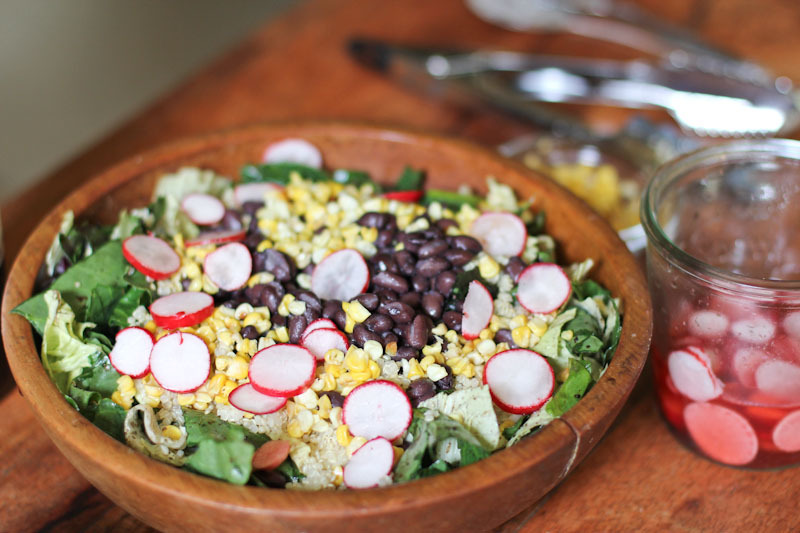 The radishes make a perfect addition to a light salad with beans, corn, quinoa, and greens, with a balsamic dressing. Pinning this for future reference. Have some radishes coming up in the garden now and will plant more for fall. 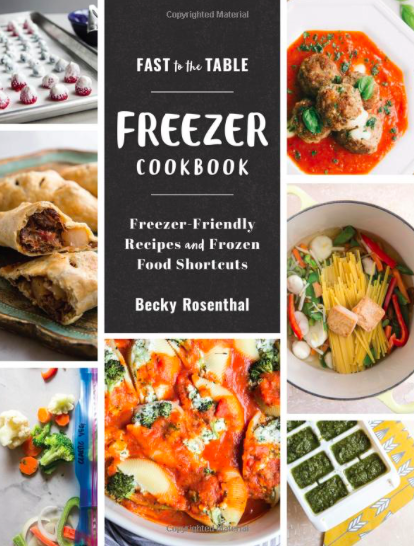 Looks so good, Becky. I may have to try this.